PETITE-SAL: Beauty Tip: Prevent bleeding lipstick! Beauty Tip: Prevent bleeding lipstick! No more The Joker inspired lips! Many women cope with the problem that lipstick bleeds easily: so did I. I've tried a million things: lip pencil, lip primers, concealer/foundation, skipping non matte lipsticks.. Those things didn't help, but what did help was this little trick. It's easy and almost every makeup user has one in her stash: using an eyeshadow base. How to use it and how it works? Keep on reading! Lately I've been practicing this tip very often, that's why I wanted to share it with you. 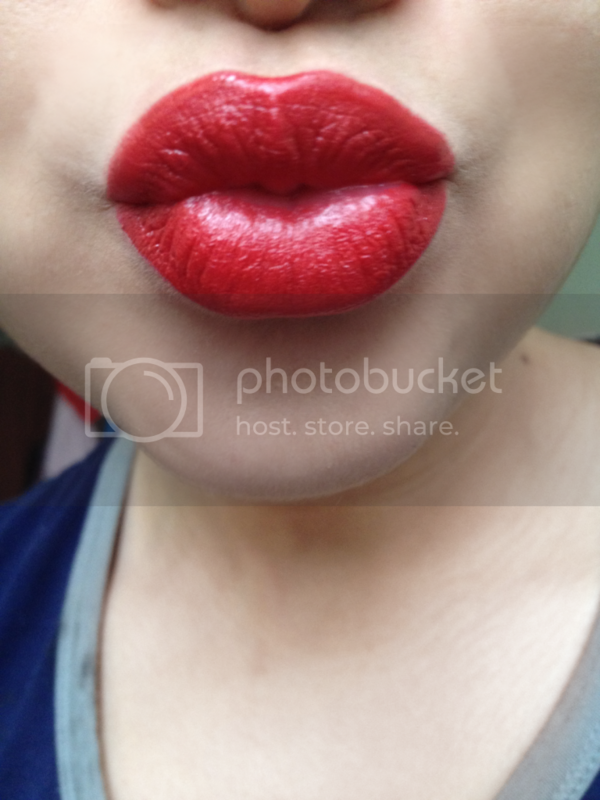 Some of my readers know this tip from my 10 steps to create beautiful red lips post. If you do, you can skip this post! If you don't or if you want to know more about it/how it works, keep on reading! Even though I love wearing matte lipsticks, I like a little variation. But I couldn't wear anything else, because lipsticks feather really easily with me. That got me thinking what I could do to prevent it. I thought: if an eyeshadow base can prevent eyeshadow from creasing, it'll probably prevent my lipstick from creasing (feathering)! And let justice be done upon the eyeshadow base, because it worked! I actually tested it by applying eyeshadow base before my lipstick on the right side of my lips and I kept my left side base free. I used a matte lipstick (don't bleed easily) and checked after two hours. Right side: still perfect. Left side: slightly feathered. And it was a matte lipstick, which supposed to last longer.. What I think the eyeshadow base does, is filling up the fine lines around the lips and that prevents the lipstick from bleeding. Because the eye area and the lip area both have thin skin, it's okay to use eye products on lips and vice versa. Apply lipstick and enjoy it for a few extra hours! Not only is it a good (and cheap) solution, it's easy to use too! Just apply some on your lip line and slightly above it, where the lipstick usually bleeds, and dab it in with your ringfinger. You can apply the base on your entire lips if you want to make your lipstick last, but I'm not a fan of that. It dries your lips incredibly and there are other ways to make your lipstick last longer. Oh and you don't need an expensive base for this! Most lip primers are very expensive and that's not necessary. In this case the eyeshadow base has only one function: to prevent your lipstick from bleeding and most (cheap) eyeshadow bases do that! The one I use is Catrice Eyeshadow Base. I don't remember the exact price, but it retails for approximately €3. See? Budgetproof AND does the job perfectly! Use an eyeshadow base with a slight shimmer to make your lips appear fuller. No glitter, just a subtle shimmer. Make sure your eyeshadow base doesn't have any colour or doesn't have a colour that differs much from your skin tone! Applying an eyeshadow base that's a few shades lighter than your skin gives the illusion of fuller lips too! Just make sure you blend well. 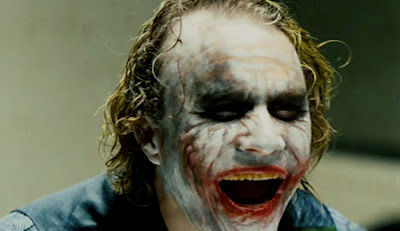 Yes, Joker, I know I got you laughing, but it's really that easy! Now, go get some of that eyeshadow base, because you desperately need it!! What is your trick to prevent lipstick from bleeding? as ever, you tips are the best. drawing slightly outside your lip line (this one always makes me nervous, but the way you've done it really enhances your lips), eyeshadow primer...who'd have thought! cant wait to try this. Hahahaha! I had quite a laugh myself! 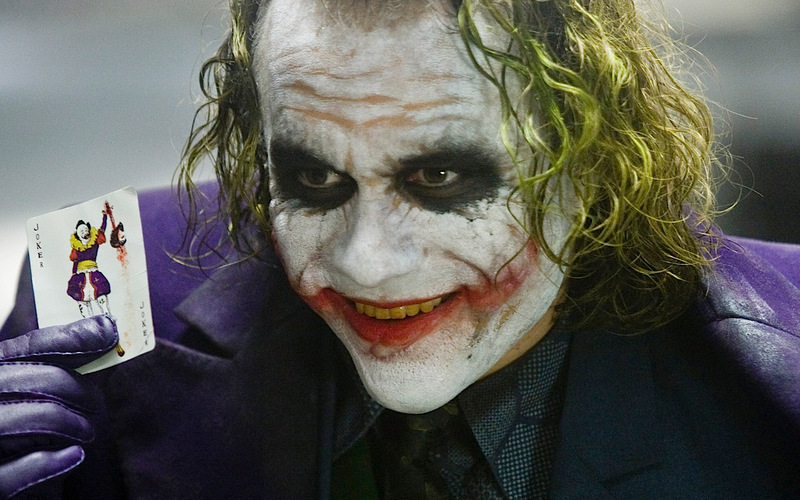 The Joker is my perfect example for everything. I love using him to demonstrate everything haha! Ah thank you Janine! I'm glad you like my tips! And you're right, drawing outside your lip line is nerve-racking.. But you know me, I have a trick for everything! :) I'll keep it in mind for a next Beauty Tip Sunday/tutorial! Great idea!! Have you ever used the ELF stick that you do the same thing with? Hope he's resting in peace :) We lost a legend. Especially this role was just.. Wauw. Great post! Thanks for sharing! This is really helpful.